Now introducing Accel5, an Ebsco database for business! 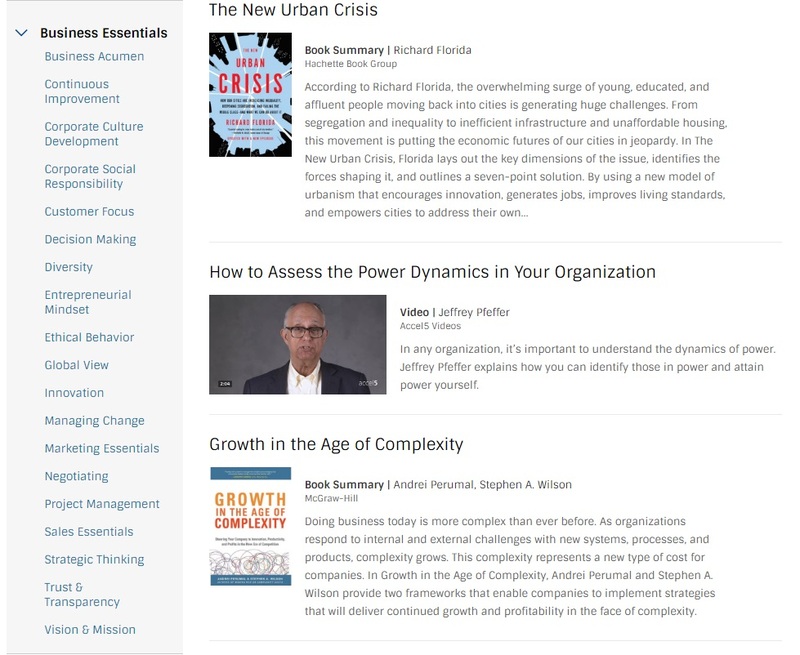 With short instructional videos, articles, and business book summaries that get right to the core ideas, you can learn something new and still have time for lunch. And you’re off! Get started today with Accel5! It’s in the Digital Library, free with your EBRP library card. Go, go! 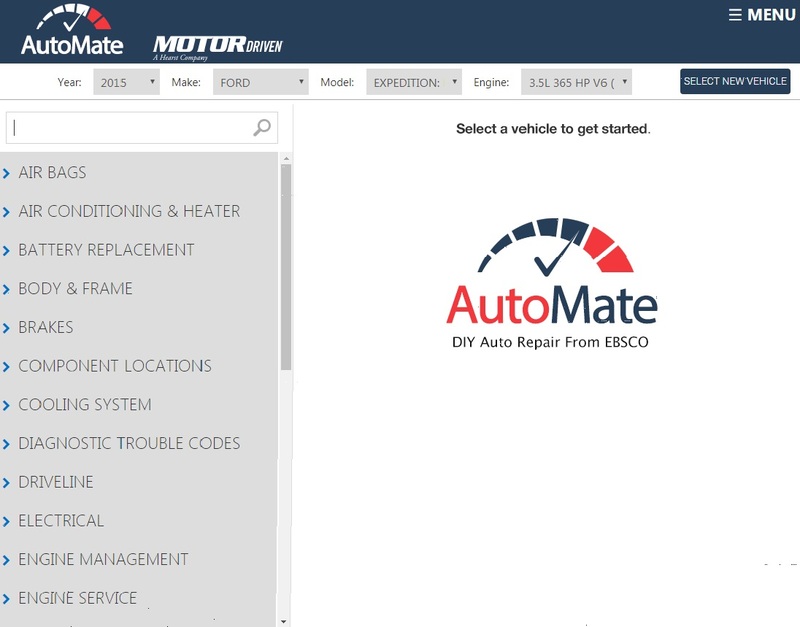 Introducing AutoMate, an additional auto repair resource now available FREE in the Digital Library. This new resource can be used both in and outside the Library, and comes to supplement AllData, Auto Repair Reference Center and Small Engine Repair Reference Center, which all are still available for patron use. Powered by the automotive experts at MOTOR, AutoMate provides the most accurate, authoritative and up-to-date service and repair information for thousands of domestic and imported vehicles. All content comes from the Original Equipment Manufacturers (OEM) and includes step-by-step repair information, diagrams, maintenance schedules, parts and labor estimates, service bulletins and recalls. Just enter the year, make, model, and engine type of your vehicle, and select or search for the information you need on the left side of the screen. Who’s hungry? If you’re a live human, you’re going to need to eat at some point. But how can you choose? 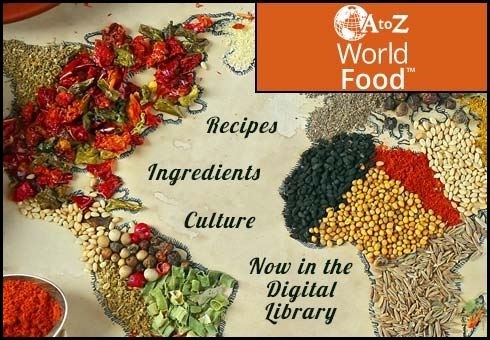 Find new recipes from all over the planet with AtoZ World Food! When you create a free account with your library card, you can save all kinds of recipes and later sort them by country, title, or category (the site breaks recipes down into appetizers, soups, salads, breads, main courses, side dishes, desserts, and snacks). Learn more about the world we live on in the most delicious way possible with AtoZ World Foods. A web archive is like a time capsule. An archivist sends out a web crawler that will capture web content, and then the captured content is archived and made available in a web archive. The purpose of the web archive is to ensure the archived content’s long-term preservation. Equally important, a web archive allows for authentic playback and access to the archived content. This means archived websites should appear and function as they did on the day they were captured. Why is it important to preserve websites? Research suggests that the average lifespan of a webpage is just 90 days. Additionally, the internet has become one of the main modes of disseminating information from the highest levels of government, to international and local businesses, all the way down to you. We use the internet to describe our lives— who we are, what we like, what we don’t like, what we think is funny, good, bad, sad, and on and on. In the past, we used letters, photo albums, scrapbooks, home videos, and other analog materials to learn more about our family or a certain time period. But today we put everything that we had once put on paper onto the web. If we don’t start collecting these materials now, a whole generation will be unknowable. 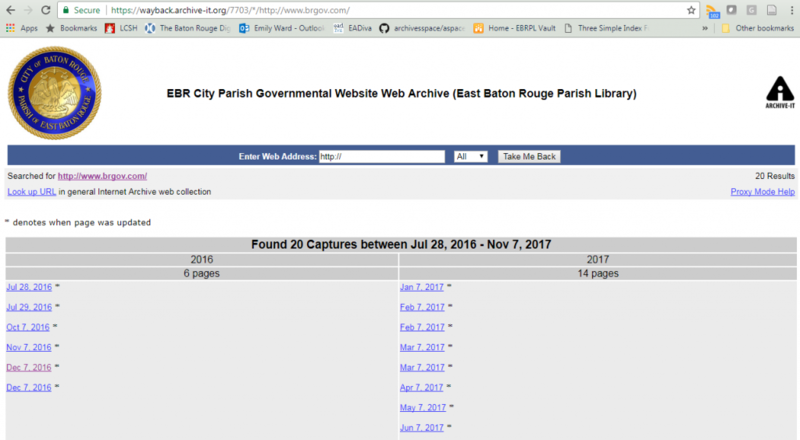 In an effort to prevent this impending Digital Dark Age, EBRPL is participating in “Community Webs: Empowering Public Libraries to Create Community History Web Archives,” an IMLS funded program led by the Internet Archive. The goal of the program is to educate public librarians in the art of web archiving and to ensure that endangered local history websites are being collected and preserved. 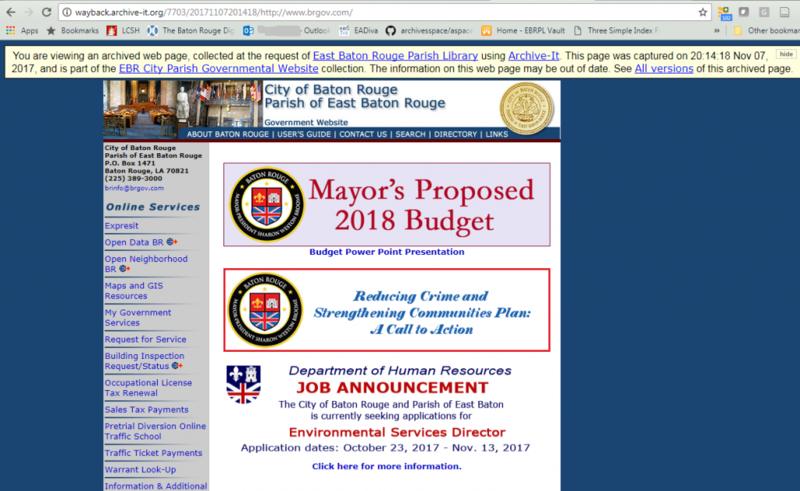 EBRPL has been archiving local web content for the past year, and were, before this program, one of only five public libraries in the country doing this type of work! Shows the various dates the website was crawled. 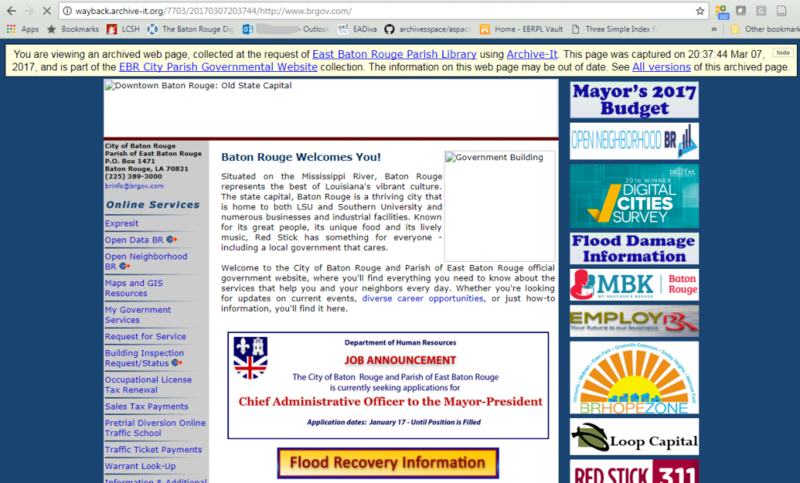 If you would like to learn more about web archiving please check out the Baton Rouge Room Infoguide. You can access the EBRPL Web Archive through the Digital Library. If you have any questions or suggestions, contact Emily Ward at eward@ebrpl.com or by phone at 225-231-3752. CQ Researcher is an exciting new digital resource, available for free with your library card. CQ Researcher has been publishing well-researched summary reports on important issues affecting the United States and the rest of the world since 1923. A new report is published weekly on a “hot topic,” and covers current and historical perspectives on the issue, as well as pro/con statements on potential resolutions. 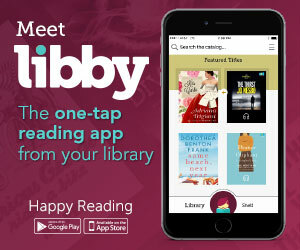 OverDrive has come out with a brand-new app for library users – Libby! Do you need Libby if you’ve already got the OverDrive app? No! You can keep using the OverDrive app if you’re comfortable with it. OverDrive is not planning to stop supporting the OverDrive app – Libby’s just a new option for people who want one. Can you use both apps? If you want to, sure! Both apps will connect to your library account. However, they will not sync – so progress you make on a book in the OverDrive app won’t show up on the same title in Libby. So it’s probably best to stick with one or the other. How are they different? Eventually, the only difference between Libby and the OG OverDrive app will be how they operate. Right now, OverDrive has a few more features that are still being incorporated into Libby, such as accessibility, Reading Rooms, Recommend to Library, and multilingual support. If you make regular use of any of those features, stick with OverDrive for now. OverDrive users will be invited in-app to try out Libby later in the year. Check out the following video to learn more about it, and remember that you can always call your friendly neighborhood reference librarians at (225)231-3750 for help getting started with library databases. Posted on June 26, 2017 June 26, 2017 Categories EBRPL eBooks/Audiobooks, EBRPL Resource, EBRPL Something NewLeave a comment on Meet Libby! With Kanopy, our BRAND NEW entertainment resource, you can watch up to 15 indie films, classics, documentaries, and more each month. Every film you play can be watched an unlimited number of times for three days before you need to spend another play credit to watch it again. Kanopy can be accessed from any device, including Roku! Watch anything from A Girl Walks Home Alone at Night, an excellent Iranian vampire flick, to Plastic Paradise – The Great Pacific Garbage Patch, a documentary about what happens to the things we throw away. Set up a playlist and watch them one right after the other! Set up more than one playlist to make sure you remember to inflict very bizarre second of movies like Eraserhead on your friends! The possibilities are endless! Check Out the New Library Catalog! 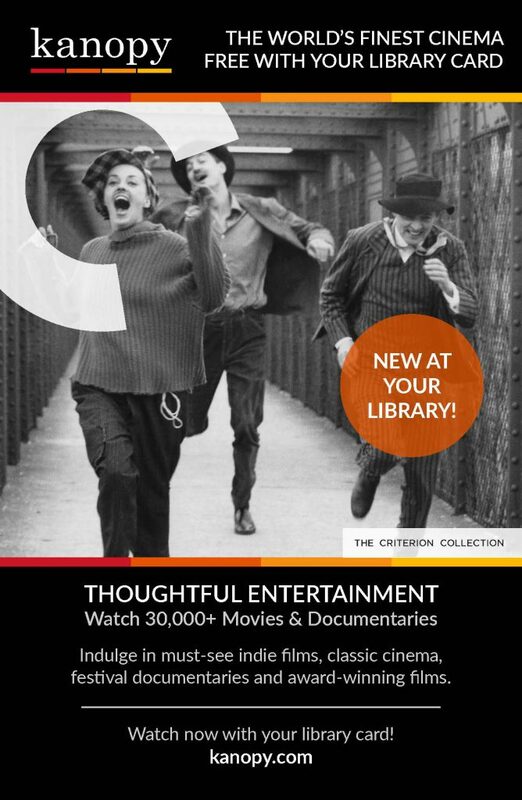 On Wednesday, October 26, the Library unveiled a newly designed catalog for the public to use. By November 28, the new catalog will become primary. However, we still will offer a link to the old catalog for patron use until January 2, 2017. The new catalog has been designed to work well on all screen sizes, from the monitor on your desk to the screen on a cell phone. 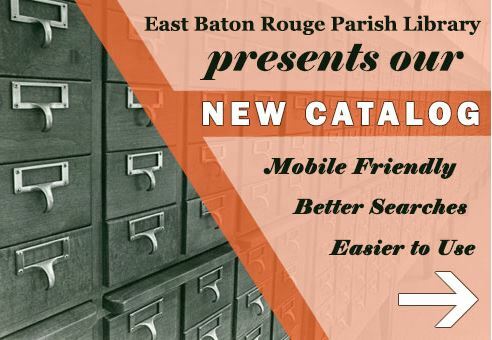 To see the differences between the old and the new catalogs, visit the InfoGuide at http://ebrpl.libguides.com/NewCatalog. Search results will be sorted by relevancy. This means the results you see are more likely to match what you searched for. It currently only works with keywords searches. However for non-keyword searches, it will sort by popularity which should still produce better results than our current catalog which sorts by year of publication. Patrons will be able to temporarily renew their Library card online. If a card has expired, they may click on a button on the My Account page to renew their card for 21 days. This option to renew is only available once the card has expired, and is only available on the account once per year. This means that after the 21-day extension, patrons will only be able to renew their card by visiting a Library in person. Online registration for new patrons will be available. Patrons who find us online but do not yet have an account with us will be able to register for a temporary online card. This card number may be used to access our databases and e-resources and place holds from our catalog. The card number will expire after two months. After that time, patrons would need to renew their account in person and receive a permanent, regular use Library card. Passwords will replace name codes. Currently, when patrons sign into their account online, they must type in their card number as well as their name code. The name code is the first four letters of the last name followed by the first three letters of the first name. Beginning on October 26, all new patrons will use a password to log in to their account instead of a name code. The default password for these new patrons will be their date of birth in the dd/mm/yyyy format. All current patrons will still log in using their name code as their password. All patrons with an email address, current and new, will be able to change their password at any time and reset their password if forgotten. Patrons will be able to add or change their email address from the My Account page. Patrons will be able to add and access linked accounts from the My Account page. This means parents will be able to link their child’s account to their own. They can then use that link to easily renew the child’s items without leaving their account. This requires an email address on all linked accounts. We’d love to hear your feedback! To let us know what you think of the new catalog, simply click the green button at the top of the new catalog page to leave your comments via the Feedback Form. Posted on November 16, 2016 November 15, 2016 Categories EBRPL Homepage Feature, EBRPL Search Hint, EBRPL Something NewLeave a comment on Check Out the New Library Catalog! The Home Improvement Reference Center is a new resource for people who want to do their own home repairs and remodeling. It has information on everything from routine maintenance to building your own window frames. 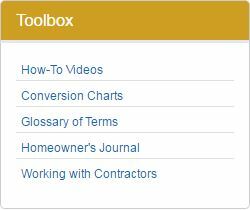 The toolbox will help you keep track of what you’ve learned and what you need to know. The Homeowner’s Journal is an especially helpful feature you can use to track the kinds of materials you’ve used and how often maintenance has been done, so you know what you’ll need to match when repairs or replacements need to be made. If you are a homeowner, this is a great resource for you to learn how to fix things around your house, or just to keep track of what needs to be done.